Teacher education systems worldwide are confronted with the essential question of how to foster both future teachers’ theoretical and practical knowledge and to adequately enable future teachers to connect their theoretical and practical knowledge for teaching. This article investigates how future teachers acquire general pedagogical knowledge (GPK) as a central component of teacher knowledge during initial teacher education, exemplified by pre-service teachers in Germany, where initial teacher education is divided into a first phase with a heavy focus on theoretical, academic study, and a second phase where future teachers learn how to apply their theoretical knowledge in the classroom. Data from teacher knowledge studies Teacher Education and Development Study in Mathematics and Längsschnittliche Erhebung pädagogischer Kompetenzen von Lehramtsstudierenden/Longitudinal Survey of Student Teachers’ Pedagogical Competencies are used to compare future teachers’ GPK at different teacher education stages (the beginning, after 2 years, and end of training). Findings show the more advanced future teachers are in the course of their initial teacher education, the better they perform in the test measuring GPK. When analyzing subscales of the test measuring cognitive dimensions of GPK, as would be expected declarative-conceptual knowledge (measured by cognitive dimensions “recall” and “understand/analyze”) was gained predominantly during the theoretical study (first phase), whereas future teachers who had additionally passed through the practical second phase performed much better on the practical knowledge test subscale (measured by the cognitive dimension “generate”). Research findings are discussed with regard to the development of teacher expertise during initial teacher education, and recommendations for future policy directions with respect to teacher education are given. Adams, R. & Wu, M. (Eds.). (2002). PISA 2000 technical report. Paris, France: OECD. Retrieved from http://www.oecd.org/dataoecd/53/19/33688233.pdf. Accessed 24 April 2013. Schmidt, W. H., Tatto, M. T., Bankov, K., Blömeke, S., Cedillo, T., Cogan, L., Han, S.- I., Houang, R., Hsieh, F.-J., Paine, L., Santillan, M. N. & Schwille, J. (2007). 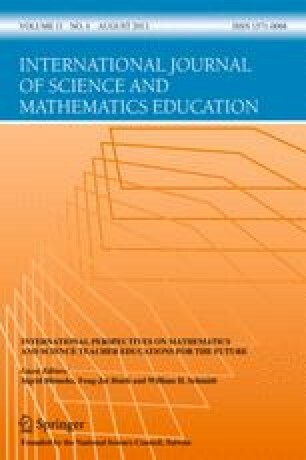 The preparation gap: Teacher education for middle school mathematics in six countries—mathematics teaching in the 21st century (MT21). East Lansing. Retrieved December 12, 2007, from http://usteds.msu.edu/related_research.asp. Schulte, K. (2008). Selbstwirksamkeitserwartungen in der Lehrerbildung–Zur Struktur und dem Zusammenhang von Lehrer-Selbstwirksamkeitserwartungen, Pädagogischem Professionswissen und Persönlichkeitseigenschaften bei Lehramtsstudierenden und Lehrkräften [Self-efficacy in teacher education—on the structure and the relation of teacher self-efficacy, pedagogical knowledge, and personality traits of pre-service and in-service teachers]. University of Göttingen. Retrieved from: http://webdoc.sub.gwdg.de/diss/2008/schulte/schulte.pdf. Tatto, M. T., Schwille, J., Senk, S., Ingvarson, L., Rowley, G., Peck, R., Bankov, K., Rodriguez, M. & Reckase, M. (2012). Policy, practice, and readiness to teach primary and secondary mathematics in 17 countries. Findings from the IEA teacher education and development study in mathematics (TEDS-M). Retrieved April 10, 2012, from http://www.iea.nl/fileadmin/user_upload/Publications/Electronic_versions/IEA_TEDS-M.pdf.